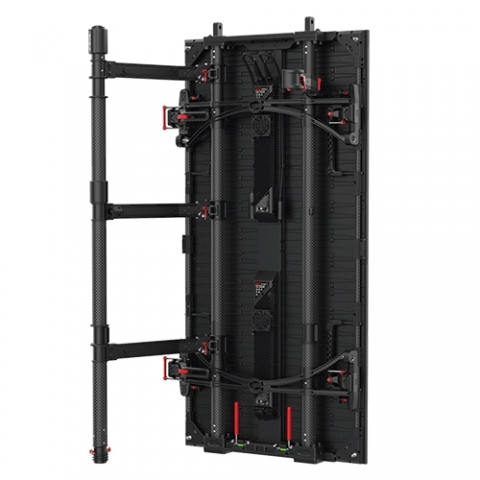 The carbon fiber frame and slim design (only 77mm of depth) make the Carbon CB5 LED video panels an ultra-lightweight solution that saves cost, and increases the safety of very large hanging screens. CB5 panels are perfect for indoor use because of their deep contrast, but also carry an IP65 rating alongside the ability to operate at up to 6,000 nits for outdoor use. Air Frame is a lightweight touring system that provides a convenient all-in-one solution for hanging, stacking and transportation. The use of innovative technology for this carbon-fiber touring frame reduces valuable production time.